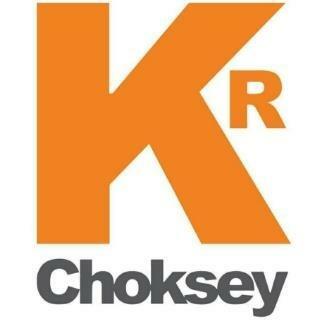 KR Choksey Walkin Drive | Recruitment Executive Jobs In Mumbai | Drive on 2nd December 2017. KR Choksey is conducting recruitment drive for experience candidates in the role of recruitment executive. Here is the dynamic opportunity for the experience candidates who are searching latest job openings in Mumbai. Willing aspirants can attend the direct walkin for KR Choksey Careers on 02nd December 2017. Individuals having a good domain knowledge and communication skills can grab this great chance. Aspirants can scroll down this page to get brief details about KR Choksey Walkin Interview. Nowadays getting a job is very much complicated for the freshers as well as for experienced candidates. So we advise the postulates to attend KR Choksey Job Openings in Mumbai Locations. As now many people are getting failure due to lack for preparation. Se we help the candidates by KR KR Ckosey Placement Papers and Test Patterns to crack the test easily. By solving those question papers contenders will get idea how to score good marks in the KR Choksey written test. KR Choksey will hire the candidates who will understanding manpower requisition from the concerned department. KR Choksey is a great platform for the employee to work as a Recruitment Executive position. So we advice the experience candidates to check KR Ckosey Interview Questions to get better performance in the KR Choksey Interview rounds. For other IT Jobs candidates are suggested to bookmark our site All India Jobs to get free job alerts. Have to understand the manpower requisition from the concerned department. Doing a background verification of the selected aspirants. Sourcing and screening candidates that match the desired skills and conduct telephonic or personal interviews.Maintaining and updating the database of the candidates. Issuing offer letters and appointment letters to the candidates. Proper filing of the relevant documents of the new joinee. Introducing him/her to the team and supervisor. Kisan Ratilal Choksey Shares & Securities Pvt. Ltd. (KRC) is a Mumbai based full fledged service broking firm incorporated in the year 1979. Its clientele comprises of high net worth individuals, corporates, NRI, mutual funds, as well as other financial institutions. The company is one of the leading brokerage firms in the country serving investors both in India and overseas. With an impressive track record in terms of services to its broad clientele, the key ingredient for the company’s success has been its customer centric approach and capital growth through structured counseling and focus. More than 75,000 investors are served through online platforms & our physical presence is spread over 250 locations across the country. KRChoksey group is spread across various asset verticals, offering services in Wealth Management, Financial Planning, Equity, Derivatives, Portfolio Management, Depository Services & NBFC. With an AUM of more than INR 1500 crores, our clientele comprises of high net worth individuals, corporate, NRI, mutual funds, as well as other financial institutions. Applicants who are having 2-4 years experience in Recruitment Executive positions can attend the KR Choksey Job Vacancies on 02nd December 2017. Even the candidates can refer your friends who had satisfied the required eligibility criteria for KR Choksey Interviews. So postulates read this entire article and walkin to the mentioned address. We hope the above information is suitable for the aspirants who are looking for KR Chokey Recruitment Executive Jobs in Mumbai location. Candidates can also check more IT Jobs, freshers jobs, walkin details on our website www.allindiajobs.in.